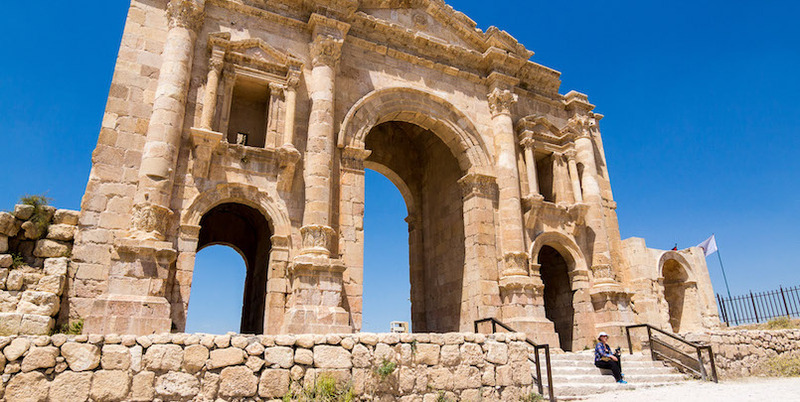 Once ruled by the Romans as part of the Decapolis League, today Jerash is a popular city that is internationally renowned for its preservation and restoration of prominent Roman structures. Here visitors can spend their days in awe of the plazas, temples, and fountains that were once at the epicenter of the Roman Empire. Today Jerash has gracefully updated into the 21st century with bustling markets and casual places to dine beside the ancient city walls. The history of Jerash is a long and detailed one that is best discovered whilst exploring the ruins and museums of the city itself. The city was conquered by General Pompey in 64 BC when it was named Gerasa. Gerasa grew in wealth and later became a colony in the third century. 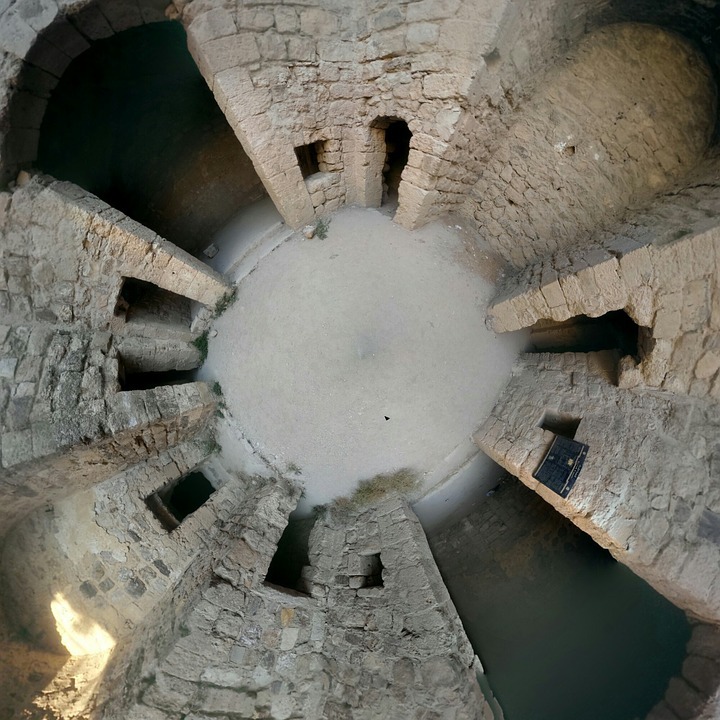 Due to an earthquake and a number of crusades leading up to the 12th Century, the city’s ancient sites were not discovered again until the end of the 19th century. Just 30 km from Jordan’s capital of Amman, Jerash is conveniently located for those who wish to explore more than one destination in Jordan. Jerash is set in the north of the country and is blessed with a rugged backdrop of the Gilead Mountains. 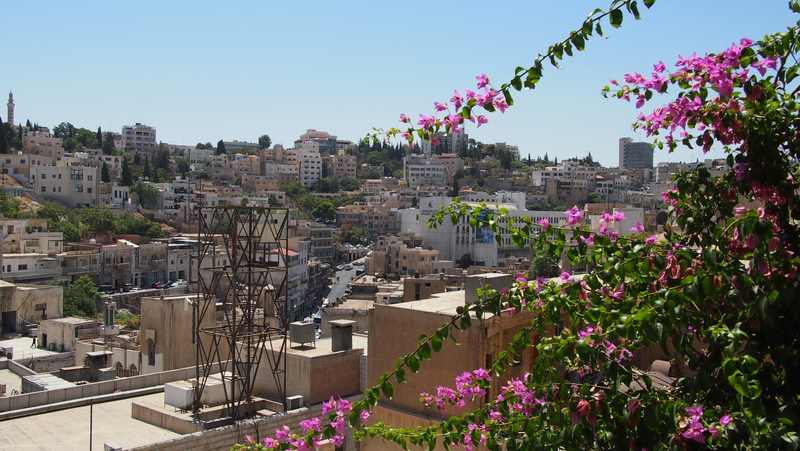 The city has a fantastic transport network connecting Jerash with the famous cities of Amman and Petra via bus or taxi. Although the sheer amount of statues, plazas, and museums can seem daunting, the ancient Roman ruins of Jerash are very easy to navigate. Once in the old town, visitors can easily navigate their way past each site. A great starting point is Hadrian’s Arch which was built in 129 AD to greet Emperor Hadrian during his visit. From this point you will find the remains of the Hippodrome; a former sporting arena that now holds chariot races to recapture the imaginations of visitors. Another notable site is the 3,000 seat South Theatre which is still used today for productions and concerts. The Forum is a spellbinding oval structure made of 56 pillars and is an ideal location for budding photographers. For an insight into the huge excavation project that took place in the city, visit Jerash Archaeological Museum which is home to a vast amount of fascinating artifacts. 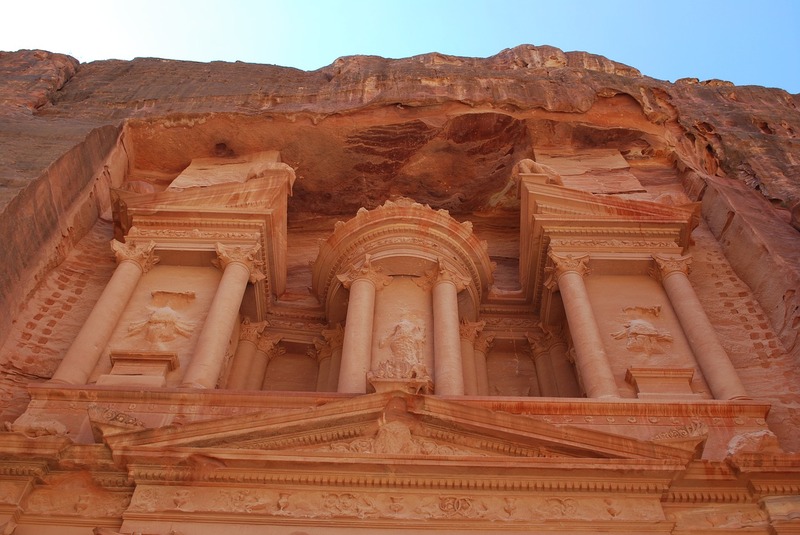 Entrance to the sites and museum will cost 10JD (15USD). 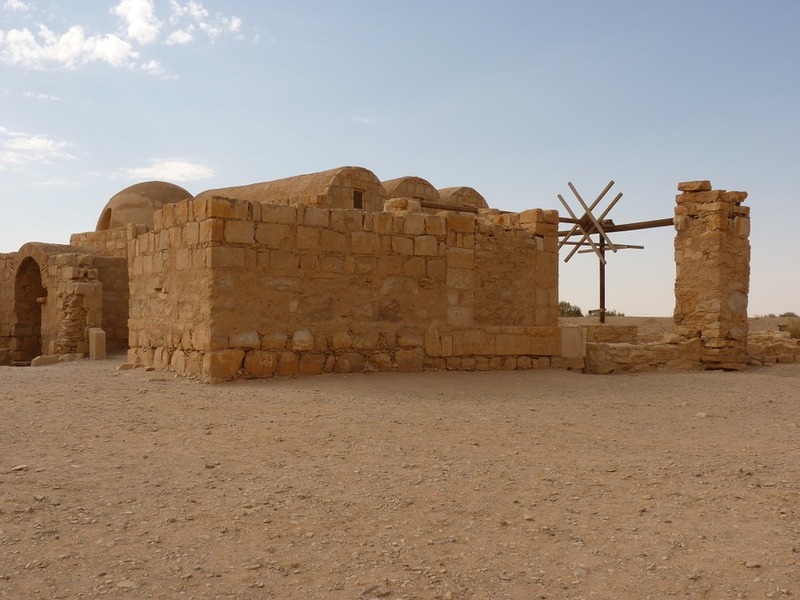 Many tour companies offer day trips to Jerash from Amman, for example this Highlights of Jordan 3 day tour. Jerash can be visited in both summer and winter, however, opening hours for the city’s ancient ruins are slightly shorter in winter. 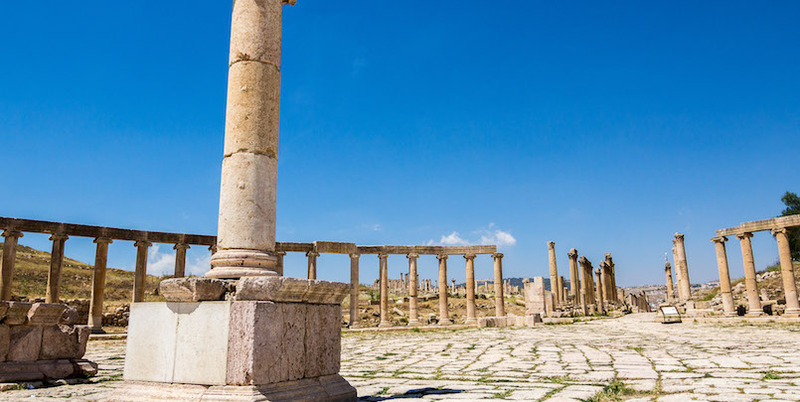 For a stunning historical holiday, Jerash is arguably one of the best destinations in Jordan to visit. It’s a city where you can truly step back in time to see how it was once ruled. Beyond the Roman ruins, Jerash is a contemporary city in its own right with plenty of places to dine and unwind after a day of sightseeing. The city is also famed for its abundance of fresh fruit and olive groves that grow in and around the city walls. The best way to sample these delicious treats is to visit one of the many local fruit markets – have a look at what’s on offer, tuck in and enjoy.